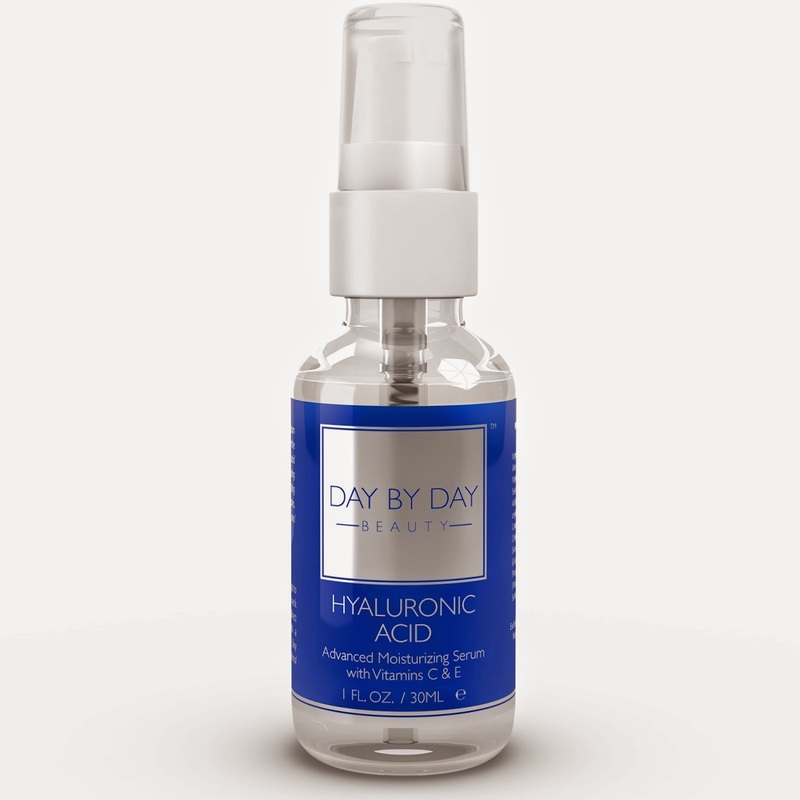 Day by Day Beauty's Hyaluronic Acid Serum is an ultra-light, gel formula that moisturizes the skin without leaving a greasy feeling. 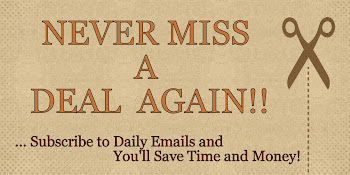 This product is best used along with our popular Vitamin C Serum. Hyaluronic Acid provides a moisturized complexion that gives you that youthful and radiant look! Day by Day Beauty's Hyaluronic Acid Serum delivers a BOOST of moisturize to any skin type - including aged, delicate & sensitive skin. Additionally, Hyaluronic Acid holds moisture and adjusts its absorption rate based on your environment & air humidity levels. So this one skin Serum will deliver what YOUR skin needs, regardless of your skin type or location! With consistent use, you'll see a reduction in fine lines & wrinkles. Additionally, infused antioxidants will help protect your skin from environmental aggressors and free radicals. I loved that this serum was thicker in consistency then some of the most recent serums I have tried. The serum was like a gel and it was clear in color. It did have a very faint scent, almost like an alcohol smell... I personally didn't like that, but as I applied it, the scent did dissipate fairly quickly. It's very light going on and because it has a gel like consistency, it glides on your face and neck very easily. My face doesn't feel greasy or heavy after use. The bottle is small, but a little really does go a long way. The one thing I really liked about the serum is that it contains witch hazel (which is probably where the alcohol scent come from). Some people don't like witch hazel because it is sometimes known to dry out the skin, but this is why I personally liked it... I have very oily skin, so I regularly use witch hazel any ways to help with my skin not look so shiny. If you have dry skin, then you might need a moisturizer after using this product. But, even though I have only used this product for a few weeks, it has seem to help keep my skin tone even and it gave my complexion a nice "glow". I have yet to see any difference in the appearance of my fine lines and pore sizes, but I am hopeful with more use, I might. 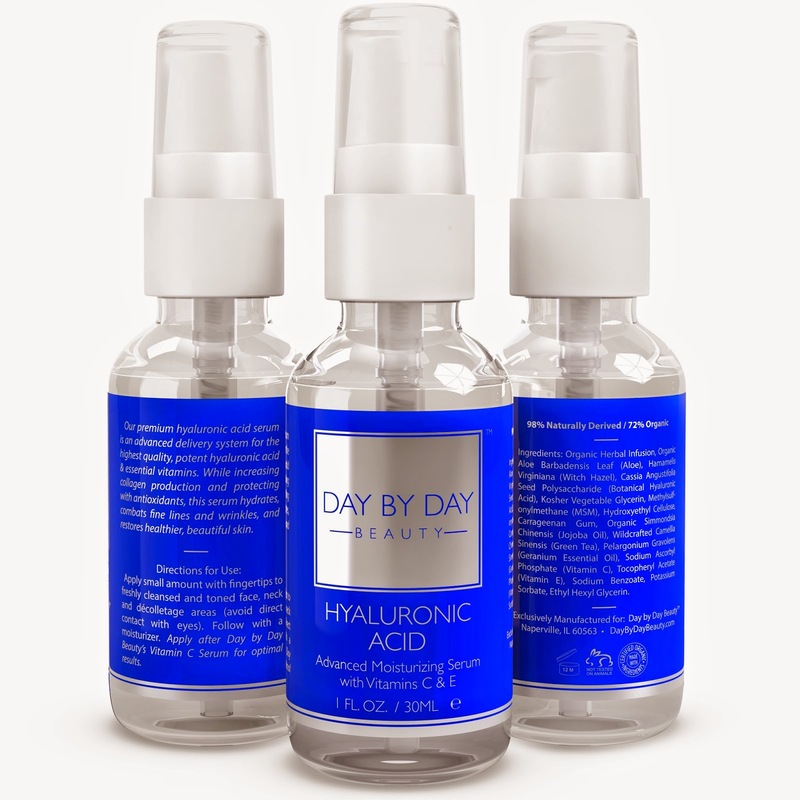 If you would like to try this out for yourself, you can purchase the Day by Day Hyaluronic Acid Serum For Skin right now from Amazon!